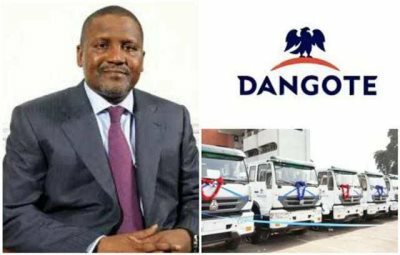 AFRICANGLOBE – Africa’s richest man Aliko Dangote has partnered with China’s heavy duty truck group Sinotruck to set up a $100 million plant to assemble trucks and cars in Nigeria for local use and export, the executive director of Dangote group said. The joint venture, which is 65% owned by Dangote and 35% by Sinotruck will assemble components and knocked down parts imported from Sinotruck to the Nigerian plant. The first set of trucks will be rolled out next week, Edwin Devakumar, told reporters in an interview in Lagos. “[The Dangote Group] has a fleet size of 12,000 trucks … and are large users. One of the biggest challenges in the market today is logistics because we do not have a proper transport network,” he said. Last March Dangote bid for a majority stake in Peugeot Automobile Nigeria. The results of the sale have not yet been released. Turning to Dangote’s other interests, Devakumar said Dangote was on track to launch its $17 bn oil refinery plant with the first crude for processing going into the plant in October 2019. It will handle 650,000 barrels per day. The company will scale down operations in its flour milling, sugar refinery and tomato processing businesses however, due to dollar shortages to fund the import of raw materials, he said. “Where the foreign exchange is not available we are cutting down our operations,” he said. Dangote’s cement business was continuing as its main raw material – limestone – could be sourced at home, he said. He added the firm commissioned a new cement plant in Sierra Leone last week and expected a plant in Congo to begin production this year.